Earn $220.00 in VIP credit. Click to Learn More. The Zipp 2018 303 Firecrest Carbon brings the aerodynamic advantages, stiffness increases, and comfort advances of the tubular version, now in a non-tubeless clincher version. Lighter and faster than ever, the new 303 Firecrest features a revised rim profile which includes Zipp's ABLC SawTooth dimpling for AeroBalance, and the iconic ShowStopper brake track; the 2018 303 Firecrest delivers all the versatility and performance you expect while weighing in 145 grams less than previous iterations. 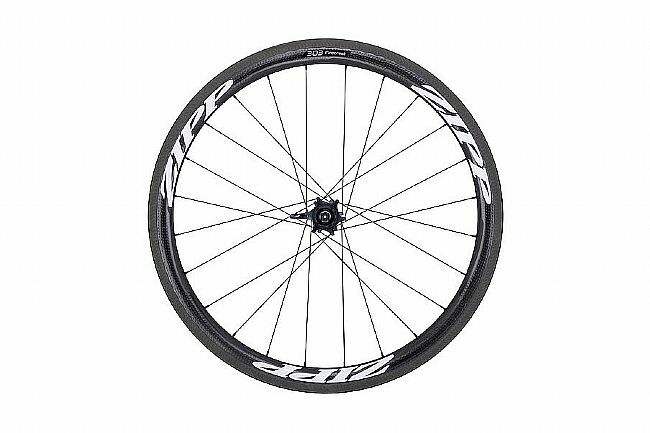 The Firecrest rim shape optimizes the aerodynamic profile of both the front half and the back half of the wheel. 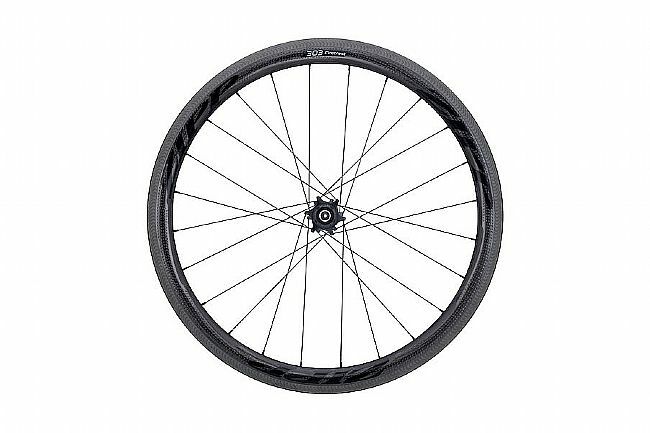 In addition, Firecrest moves the center of pressure of the wheel backwards, giving the 45 mm-deep rim the crosswind stability a box-section rim. At the same time, the 26.4 mm-wide brake track (at center) allows the clincher tire to take on a wider, more stable shape without compromising rolling resistance. It’s faster, simpler, and more stable. At the center of the 303 Firecrest is Zipp's 77/177 hubset with best-in-class durability, bearing protection with no pre-load adjustment needed. The result is improved stiffness, durability, simplicity and versatility. Optimized flange geometry and spoke hole attachment pattern with Sapim® CX Sprint spokes to optimize torsional and lateral stiffness and robustness. Each 303 Firecrest Carbon Clincher wheel comes with Tangente Platinum Pro Evo brake pads, Zipp Integrated Valve Extender with valve-core wrench, rim tape,d and quick release. Tire Type: Clincher, not tubeless compatible. Rim Width: 17mm (internal), 26.4mm (external). Brake Compatibility: Rim, ShowStopper Braking surface. Claimed Weight: 645g front / 835g rear / 1,480g set. Coming from the previous generation Firecrest 303, I was pleasantly surprised at the improvements made in this latest iteration. My new set weighed in exactly at the claimed weight of 1480g, a 110g saving over my previous generation Firecrest 303s. The showstopper brake track does make a noticeable difference in braking power with a side effect of increased brake noise. 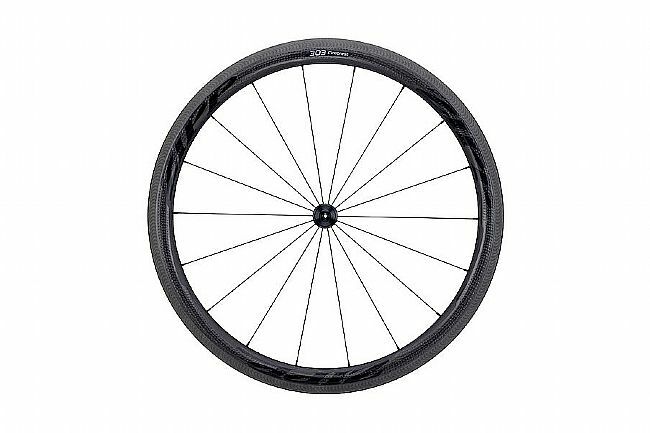 These are the perfect all around clincher wheelset for moderately hilly conditions - a well balanced combination of lightweight, aerodynamics, and stability. Rims are Made in USA.